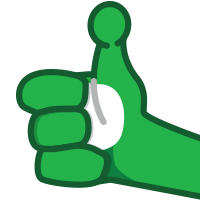 I'm Brendan Walsh (brendanjw), a Product Manager here at Geocaching, and I'm thrilled that many of you are helping us as we slowly and progressively roll out a new Search/Map experience to more geocachers! We are introducing the new map and search experience by selecting and opting in geocachers at random. If you wish to “go back” to the old map experience after trying the new one, you can. Just follow the “What’s this?” prompt in the upper right hand corner of the map to “opt out” of the new map experience and revert to the old. This is something the team has worked on for several months, with the goal of providing a unified feature that is easier to use, more modern, and provides a better tech foundation for the future. To be clear, this is not final, and we will continue to add enhancements and features. But we'd like to start gathering feedback now. See your caching history on the map, including your finds, hides, drafts and corrected coordinates. We also changed from raster tiles to vector tiles. (These are the tiles that power our map.) 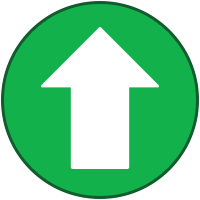 The value for the player is a higher performing, faster map. Lastly, please be aware that since this a slow, progressive rollout, we are keeping a close eye on performance, and whether the overall experience is snappy and reactive. We are monitoring performance issues, making small changes and will continue to optimize. With that all said, have at it! We would LOVE to receive your feedback. Please keep discussion about the map within this thread and be sure to include screenshots or any page errors you might see. The more specific information we have, the quicker we can track down bugs! Going forward, we will continue to iterate and build upon on the new map experience by adding features and fixing bugs. We will also steadily increase the pool of geocachers who have access to the new map, eventually making it available to everyone. I'll check in here regularly as we update the new Search/Map experience. Thank you for your help! Looking forward to the feedback here too! Please pass on my feedback to the team. So far I really like the new look and feel. I particularly like that when you highlight a cache it shows the location on the map. 1) The sort by pull down only lists FP, Newest, Oldest. When using the older search mechanism as a recovering FTF hunter I used to sort by last found. For unfound caches these would be below the oldest caches to be not found. I also used this when planning to avoid potential problem caches in areas new to me if all I want is something easy. So maybe like on the phone app include last found date and if it was a found/not found. Also sometime newest does not always work if it took months to get a cache published. 2) I miss the sort by distance so if I want to see 10 miles from my home all in that view is shown. 3) I liked the old way of indicating an owned cache of mine, now it looks like I missed a couple unless I disable them. Enhancement request here. I typically like to have the same search options each and every time. Can you remember my last setting or have an option to make the setting defaulted in a certain configuration. So far the performance is pretty fast, well done! Keep on improving the overall experience. Not that I use it myself but I'm glad see the "send to Garmin" feature is back, hopefully someone that uses that method will report back. I've noticed my hides have a star on the cache list on the left but the map icon shows the usual green unfound icon. Is there any way to hide the side bar? The addition of contour lines is nice but the lack of a scale on the map makes it useless. The left hand panel takes up 40% of the width of my screen and reduces the usable map. Sorting by favourite points, newest or oldest is very limiting and certainly not my preferred choices. There doesn't appear to be a way to open a cache page in another tab. I find it awkward to read a cache title in the left hand pane and then have to go to the bottom of the panel and read upwards to difficulty, terrain, size before deciding whether to list, save or send on the line above. I started planning a caching trip this afternoon. I managed the first half in under an hour. The remaining planning has taken nearly three hours using the new release. I am also disappointed that there is no way to view the progress of this release if I opt out and go back to a screen which gives me the info I prefer. If this new release is the future then it's not at all easy to use for this user. The big green 'more info' button links to the cache page once a cache is selected. I requested the link default to a new tab, but if not then depending on your mouse/browser setup you could middle-click or right click and open in a new tab to do so, for now. Ran into a small bug I thought I'd share. I visited this cache yesterday. It says Last Found was 9/14/2018 However my log was a DNF & NM. Last found was 3/31/17. I'll second the request for the request to open as a new tab. Or allow the person to select a default setting. Though a mac user all i have to do is command-click. Which is honestly not too hard to do. The Last Found refers to the cache's last found (not your found date). Last found was 3/31/17 not yesterday 9/14/18 which was the last log. Last log was a DNF/NM. If still confused open up the cache and look at the logs. Ok, now I see. ;-) Apparently a wording on GS's side. Maybe it should be Last Logged? Agreed. Think of perspective and what task you are doing. Speaking of found it logs. There is only a way to exclude found logs "Hide my finds". There is no mechanism to show only found caches. But on the cache in question (GC3VBFY) it wasn't found by anyone on the date shown as Last Found (09/14/2018), the cache was last found in 2017. It appears to be assuming that the last log was a find, when in fact the last log was an NM. But on the cache in question (GC3VBFY) it wasn't found by anyone on the date shown as Last Found (09/14/22018), the cache was last found in 2017. It appears to be assuming that the last log was a find, when in fact the last log was an NM. Yes, I agree, the Last Fould display the last general Found It log date. I wasn't referring to that point, but to the request to have that show the user's own last found date. ETA: Oh wait, I see - you meant instead of making that the actual date of the last log, relabel it to be accurate that it's the date of the last log ... slightly tongue in cheek I presume? Maybe I'm blind, but I don't see anyone in this thread requesting it to show the user's own last found date. Correct, I interpreted your comment the other way (to label the date "Last Logged" and show the user's last found date, rather than just sync the label to what was actually shown the last general log date). About filters: there should be a "Show only UNcorrected coordinates" option in addition of the other way of filtering and maybe also a couple of filters about Personal Notes. Does anyone know how to set the map in order it shows my own geocaches in the final coordinates (once they have the final coordinates modified)? The new map already looks great, well done ! I would just appreciate if the links from the left panel ("Log a cache", "More infos" ...) would open a new tab instead of opening in the current one. It's a pain to go back to the map and wait for the page to load afterwards. Also, as said by Tungstène, I'd rather see "only UNcorrected coordinates" in order to know for which myseries / multis... I don't have the final coords yet. The current filter doesn't really make sense for me. Maybe a filter "Only show caches with a TB" would be interesting. map: I like that it's not limited to a certain radius, but that new caches are loaded when moving. In the cache overview I want to see which mysteries have a personal note and which have corrected coordinates. It would be nice if I could hide the side panel like the old map. While I can click on the More Info arrow and open it in a new tab, it would be nice if it auto opened in a new tab. Did all the Leaflet maps disappear? I'm only seeing an option for three maps currently (Geocaching, Google Road Map and Google Satellite) . I use the Topo map all the time. If I go to Play -> Search -> click Magnifying Glass, I get the new map. Noticed something else... I don't have access to my Pocket Queries. Is this intentional? This is pretty essential functionality for those of us who use the map as their main way of searching for caches. As a non-premium member I'm very unlikely to get much functionality from the side bar and, quite frankly, prefer to use the map anyway. I think this is the fourth request for this functionality already. I haven't been selected for this yet, but I have a question. What about selecting whether caches with corrected coordinates are shown at their corrected or original positions? IIRC, when you found a cache with corrected coordinates, those corrected coordinates would then be ignored on the old map. This caused issues for many, so one of the most-requested changes over the last while for the map was an option to toggle this behaviour. Has that been added, or is it at least planned to be added in the near-term? I'm only seeing an option for three maps currently (Geocaching, Google Road Map and Google Satellite) . Is our only view of OSM going to be the homegrown "Geocaching" map? When was that map last updated? How often - realistically - will it be updated? When I find a cache and find an unmapped trail right next to it, I like to add that trail to the map, then verify that its position looks correct relative to the cache. OSM Default lets me do that, and would be missed. I presume I'm one of those chosen, as when I now use the Search function, the results are no longer a list. I now get a map display with what looks like a phone app list on the left side. - Several of the cache names are truncated. - I can only set the order by FP, newest or oldest. I use D & T more often when sorting. - The target button took me to a location almost 150 miles away from my search location??? WHY!?!? - When I click on a cache, it changes the side list to what appears to be an app version of the cache page. Can't find a way too get back to that list! - the OSM map is OK, and the options to switch to Google street or satellite view seems to be good options. My first impression is that I DO NOT like this change. To the left of the search box should be a left arrow, that goes back to the list. Based on the screenshots, it isn't obvious that this is what the left arrow will do. My suggestion would be to make a separate X icon just above and to the left of where it says "PREMIUM" in the screenshot below (borrowed from above) for closing a cache record. Either that or a counterpart to the "More Info" right arrow that's labelled "Back to list" or something similar. Agree with everything mentioned so far. I would prefer to be able to sort by D/T. When filtered to a list of puzzles by a particular CO I would like to start with the easiest D first. As is, I need to review the speedometer on each cache listed to find the one with the lowest D. Also want to be able to sort to just those without corrected coords because those are the caches I need to look at and try to solve. Also would like to sort by last date found and be able to switch between most recent date on top/bottom of list. Perhaps a grab bar between the list and the map so I can make it wider to see the whole cache name and an arrow to hide it as it is on the "View Map" option under PLAY. My personal opinion is you should provide the same filtering options as before. Not remove functionality. P.S. How can I revert back to the old map? What is the function of the 'target' button below the map option button? I prefer a different icon for my owned caches. The caches I own are not marked in any manner different from the other caches on the map. I'm not part of the test either so I can't test this. I see there is both a Save GPX button and a Send to Garmin button. Does the Send to Garmin button send the single cache to the GPS without first having to add it to a list? That will be a nice improvement if that's how it will work. And if so, it will function like the old Send to GPS button, except it won't work with old Garmins that don't support .gpx files. Anybody tried it yet to see? Search an area and see the cache icon on the map and the icon & title in the left panel. Hover over the title and the map icon gets a green outer ring & blue box with cache name. Click on the title and another icon appears on the map but not at the same position. "Allow Garmin Express Your browser will ask you to open the application. Make sure to choose the option to launch Garmin Express." I can't go further as I don't have Garmin Express. I use the ESri World street map a lot because it shows county lines. Looks like I can't test it directly yet. I agree that it would be nice if it sends the selected single cache. And it would be super confusing and pointless if all that the “New Send To Garmin” button does is open the member's “Lists”. It can't possibly be the latter, right? Anyway, we need to know that the files and file names are exactly the same thing whether from “New Send To Garmin” or “GPX File”, when the files arrive on the GPS. Because if not, it's gonna be an issue. The file provided by “Old Send To Garmin” has notable differences from the “Pocket Query” files. I'm seeing similar differences between “Old Send To Garmin” (from a List with a single cache), and “GPX File” from a cache page. OK, sure, the computer and GPS can understand them anyway, but I'd prefer that the files, and file names be exactly the same, bit-for-bit. Otherwise, I have to decide which different file I want. I may not wish to mix-and-match. For reasons. I even started a thread in Bugs a long time ago. That thread died instantly. But this subject will be back, along with many just like it, when the new features come online. Mark my words. I've seen posts about “Send To Garmin” where people sent files to “Garmin”. 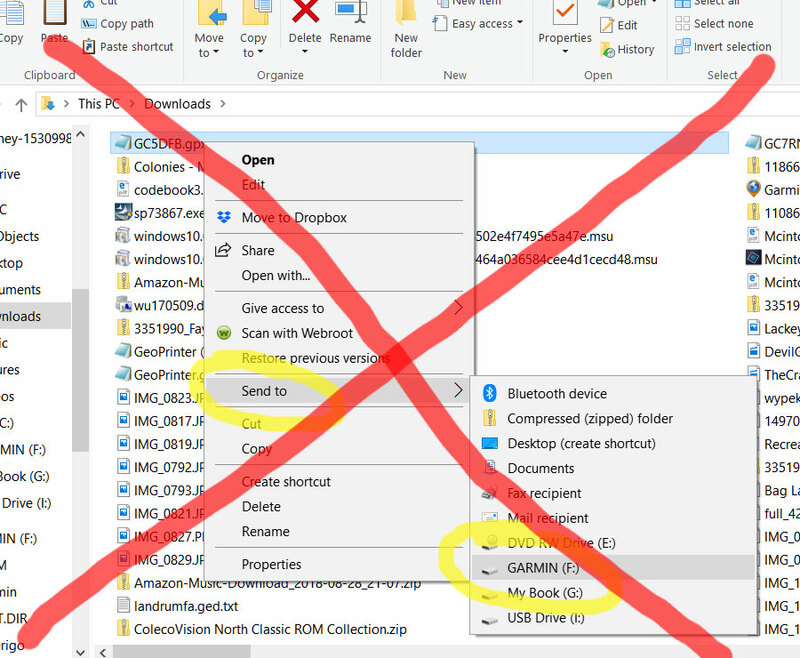 Beware that there is a function of Windows File Explorer that is “Send To - Garmin”, not to be confused with “Send To Garmin”, the button that automagically places files in the correct places. I'm getting confused by even mentioning it. 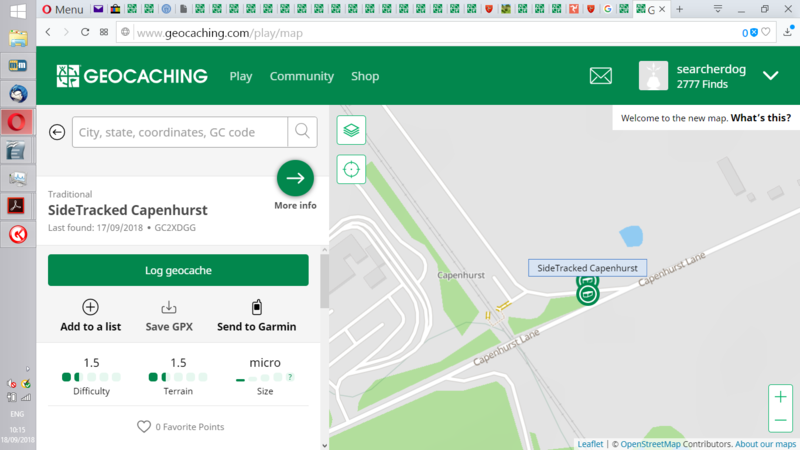 Remember that if you use a button on the cache page, the GPX file must go to the folder “Garmin/GPX”, folders within the drive called "Garmin". Same with Explorer, you must not use “Send To – Garmin” as shown, to the “root” of the Garmin's file structure, that's no good. I drew a big “X” through it so you don't do it. You should instead copy/paste (for example) to the folder “Garmin/GPX”. This will confuse many, so keep it in mind. When someone sees "Send To Garmin" mentioned as a way to place a GPX file, and if they decide to use Explorer to "Send To Garmin", it won't work that way. That's the wrong "Send To Garmin" in this case. It will come up. The "Allow Garmin Express" window pops up the first time you connect a GPS. Allow it, and that opens Garmin Express (um, yeah, if installed). Then you have to first add the GPS to Garmin Express if you haven't done that. From then on, click the button, send the files. It's OK to have set up, since most people need Garmin Express anyway to get maps and updates. If you use "Lists" to load the phone App, "Send To Garmin" is appropriate to load a Garmin from lists. Load both the GPS and phone with the same offline data. I do that a little, but to load my GPS, I prefer Pocket Queries over "plugins to set up". Those plugins don't agree with me. That's great for those who can use Garmin Express. Garmin Express does not work with older gps units (like ours - 60Csx). And there are A LOT of cachers who have older gps units. I am so mad about that change, I've considered giving up the hobby. I will NOT buy a new gps because TPTB have decided not to support mine any more. I can't tell you how angry this makes me. Rant over. It's not really up to TPTB in this case. Companies dropped support for discontinued devices. That's an ongoing situation. So when Groundspeak is working with Garmin to develop a "Send To" that works in modern, secure systems, Garmin is not providing the various ways to load GPSs that they don't support. And other companies of course don't provide the support, the companies that aren't making GPSs anymore. You don't have to buy a new GPS, but you do have to do what all the rest of us did as the handy and out-dated features began to fade away over the years: Adapt to other ways to load a GPS. You may not receive everything you want without effort, but it's not worth the angst. There are several options already laid out in the Forum, pretty much the same as were available for years, and what many of us already use. Try one of them, try any of them, they aren't all that tough to do. Yep. Even though I don't use it, I think it's great that Groundspeak worked with Garmin on any kind of a replacement for send to gps. Garmin not including long-discontinued handhelds understandable, really. Finally think I can leave the waders home, got Thursday all set (tomorrow's a should-be-baling-it mowing day... :-). - Four caches loaded to my 60csx manually. Took almost eight minutes. I'm on a road trip and noticed this behavior early this morning. On the search page if I enter GC56VYB it gives me the usual choices, search a ten mile radius of the cache or view this specific cache. The intent was to search a radius but when this was chosen it took me to a ten mile radius of my home location which is 600 miles away. After three tries with the same incorrect results I had to switch back to the old map to get correct results. This is minor annoyance... when I use the search filter "Hidden by", the map stays centered on my location. I have to zoom out to see the caches. It would be nice if the map would recenter on the caches. This is particularly annoying when I'm making a bookmark list for another state and I have too zoom way out and then back in on the right area. Minor annoyance -- I think it is a major annoyance these searches keep taking me back to my location with zero results when I know there are plenty of results at other locations. Another MAJOR annoyance is the inability to search without the map being involved. I can't find the way to do a search with only certain parameters, like caches owned by CacherXYZ. In the past, I could go to the advanced search page to add parameters for my search. This is not clearly evident. Also, for those who are data limited, I'm certain the map function will be requiring more data than the old (and thus-far better and more functional) version. Firefox 61.0. 1 Windows Pro The new mapping search functions are nice. A person immediately notices that ALL of the function of Search are not available, instead of noticing that a lot more search function are now on maps than there were ;-) because that's just how it is. I think have to opt out, as this was offered to my reviewer account, and I need the search functions that aren't available. Or stay with it, in hopes that maybe I can have both? New maps and search? right now, anything in search goes to map. This is way less than ideal. I can't seem to get rid sorting by Oldest, Newest or Favorites. I don't necessarily want any of those filters.